Rhinoplasty is a surgical procedure designed to resize or reshape the nose. Sometimes referred to as a “nose job,” the procedure can be performed for cosmetic reasons or to improve the function of the air passages. Dr. Andrew T. Cohen, our board-certified plastic surgeon, customizes each rhinoplasty to meet the unique needs of the candidate. Using his experience and knowledge of facial aesthetics, Dr. Cohen can alter the structure of the nose for a proportionate, symmetrical appearance. Candidates for rhinoplasty may also be experiencing difficulty with nasal breathing. A rhinoplasty designed specifically to address structural issues related to airflow is medically referred to as septorhinoplasty. The best way to determine your candidacy for rhinoplasty is to schedule a consultation with a plastic surgeon. After a physical exam, a discussion of your personal goals, and a review of your medical history, Dr. Cohen can design a custom-tailored surgical plan that can achieve your expectations. There are two main surgical techniques used to perform rhinoplasty. With an “open” technique, Dr. Cohen will make a small incision beneath the nasal tip, hidden where the nose meets the upper lip. 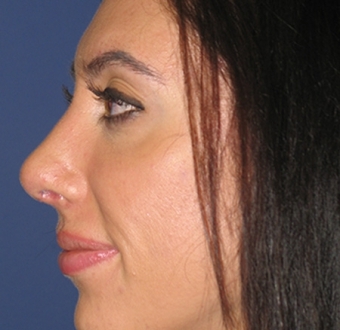 The “closed” technique can be performed entirely within the nose with no visible scarring. Both techniques have their advantages, and Dr. Cohen will discuss the benefits of each during the consultation process. Depending upon your unique goals, Dr. Cohen may recommend one technique over the other. Once the incision is made, Dr. Cohen will contour the bone and cartilage to achieve the desired shape. Rhinoplasty is an outpatient procedure that is typically performed under general anesthesia and can be completed in 1-2 hours. Once your rhinoplasty is complete, a nasal splint will be used to support the nose in its new shape. Some patients may also require soft splints or nasal packs placed within the nose. Splints may be worn for up to one week. Mild swelling, bruising, and soreness can be expected for the first few days after surgery and should then begin to quickly resolve. Most patients return to work or their normal daily activities after one week. Strenuous exercise should be avoided for several weeks afterward to reduce the risk of complications. 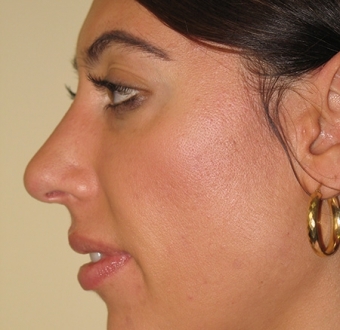 The results of your rhinoplasty should continue to improve as any residual swelling dissipates. Every rhinoplasty patient has unique cosmetic or structural concerns. As a result, each surgical plan must be customized by Dr. Cohen and priced accordingly. There is no set cost for rhinoplasty. Variables that can impact the total cost of rhinoplasty include the complexity of the procedure, anesthesiologist fees, hospital fees, the experience of the plastic surgeon, and the geographic location of the practice. On average, the cost of rhinoplasty at our practice is typically between $8,000 to $15,000. Dr. Cohen will provide you with a quote for your procedure at the conclusion of your consultation. Patients who are having rhinoplasty performed for medical reasons may have a portion of the cost covered by their health insurance provider. Since cosmetic rhinoplasty is not covered by insurance, patients may choose to take advantage of our plastic surgery financing options. To learn more about financing your rhinoplasty, including low monthly payment plans, please contact a member of our staff today.